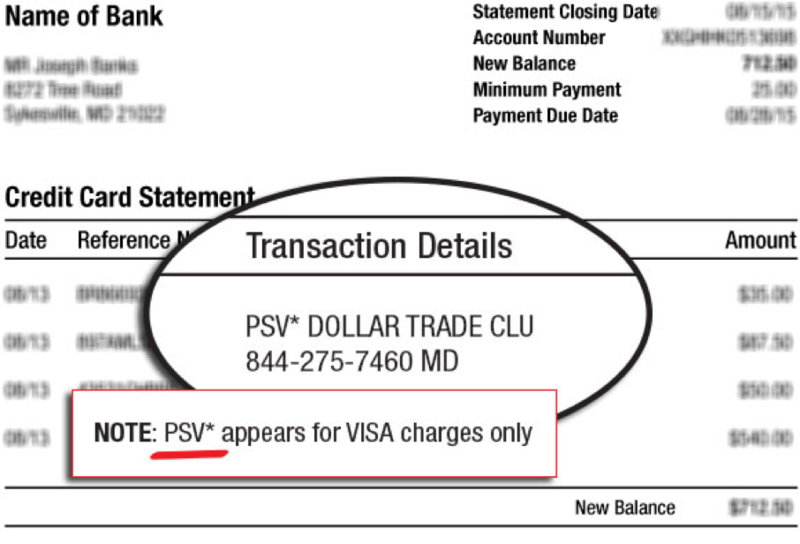 What is PSV*DOLLAR TRADE CLUB? It’s because you have subscribed to one of Agora Financial’s financial newsletters, The Dollar Trade Club. The Dollar Trade Club can be summed up in one line: All killer. No filler. Every single day the market is open our team of expert analysts will deliver you the attack plan you need to dominate the markets. Co-founders Zach Scheidt and Alan Knuckman are combining their nearly 50 years of research and trading experience to give you unprecedented levels of REAL TIME insight… recommendations…. daily market videos… onscreen stock analysis… podcasts, and more! If you’re having an issue with your subscription or have a question about the billing for The Dollar Trade Club, please contact our customer service department. We’d be happy to help you out!